Our Best Answer - Is there an International Student Orientation? The Orientation Program is mandatory for all entering undergraduate students, including students who are international. If you are an entering international freshmen, you have to attend a mandatory, 2-day orientation. The date, fees and information for your orientation program are available on the International Orientation Program website. You may register by contacting Orientation Services by phone at 909.869.3604 or by email at orientation@cpp.edu. You are not required to stay overnight on campus for this orientation program. If you have signed up to live on campus, check with University Housing about your move-in date. If you are an entering international transfer student, you are required to register for one of the Transfer Orientation Programs that occur during the summer. 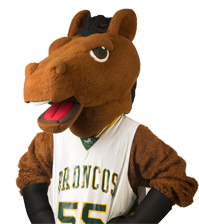 You may register for your orientation program and pay the orientation fee through BroncoDirect. As an international freshmen and transfer student, you must also attend an additional session hosted by the International Center. Orientation Services will send you an email regarding the date, time, and location. Housing is not provided before or after the Orientation date. If you are in need of housing before or after Orientation, information is available at the University Housing Services or University Village web pages. As an international transfer student, you must also register for one of the International Center's Success 101 Programs.